Ron Wilson got emotional on Weekend Sunrise. 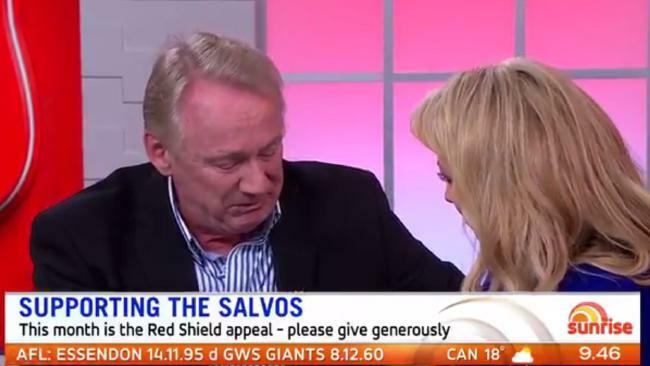 VETERAN newsreader Ron Wilson broke down in tears on Weekend Sunrise this morning. 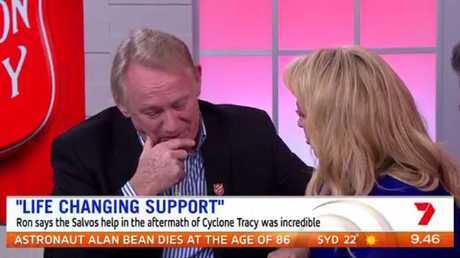 Wilson, who presented the Channel 10 news for 33 years, appeared on the breakfast show to promote the Salvation Army's Red Shield appeal and got emotional as he recounted how the organisation helped him and his family during Cyclone Tracy. More than 70 people were killed and billions of dollars of damage was done when the cyclone decimated Darwin in 1974. Wilson was 19 at the time and his family lost everything and were lucky to escape with their lives. 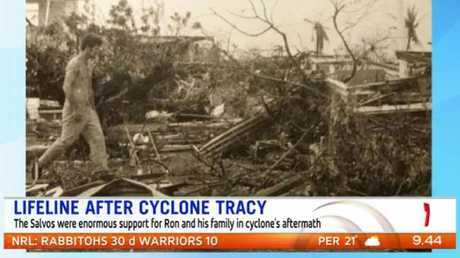 This is what was left of Ron Wilson’s house after the cyclone hit. As Wilson told Weekend Sunrise hosts Monique Wright and Basil Zempilas, the Salvos helped them get back on their feet and evacuated them to Sydney and found them accommodation. "I'm going to get blubbery," the 62-year-old said when talking about the organisation. "When we got out of Darwin they were there to meet us ... " he said, before breaking down in tears. Wright comforted Wilson and said, "we know that every day someone from the Salvos would give you and your mum a $20 note". Wilson tried to go on but was visibly upset. "This was in the days before mobile phones so to apply for jobs you had to go and stand ..." he said before stopping. "I'm sorry," he said with tears streaming down his face. "You spent the money on the public phones to make calls to get jobs." 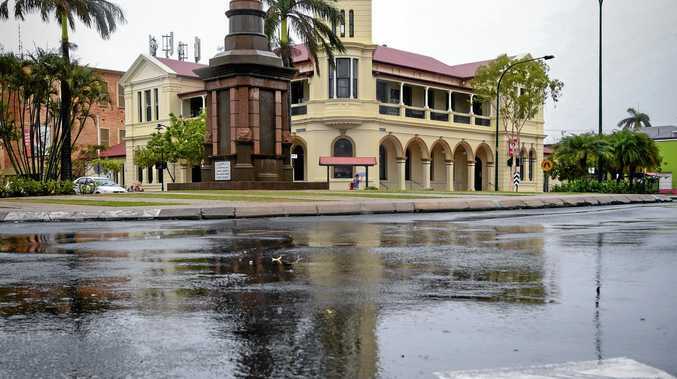 Wilson, who still has PTSD from Cyclone Tracy, spoke bravely through his tears to explain why he was willing to dredge up the painful memories to promote the Salvos Red Shield Appeal. "The reason I do this is because I know how important it is for them and while it's difficult for me I'm happy to come here and do this because it's so important," he said. "Putting $10 in that bucket today makes a big difference." Monique Wright comforted Wilson during the emotional appearance.